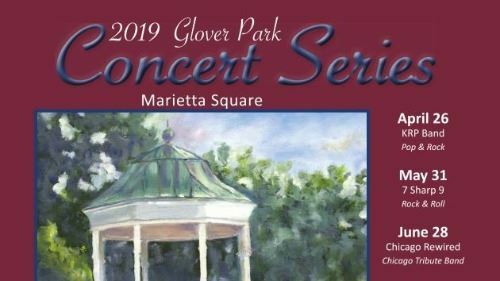 The Marietta community will again be “dancing in the street” during the Glover Park Concert Series. The series features local and national acts on the last Friday night, April through September in Glover Park on the Marietta Square. Friday, April 26th kicks off with The KRP Band (pop and rock) at 8pm. The Series is presented in part by the Downtown Marietta Development Authority, the City of Marietta and Marietta Parks, Recreation and Facilities. The concerts are free but if you are looking for a “front-row seat,” a limited number of tables can be reserved for a fee (and will sell out quickly) on the first working day of each month beginning at 8:00 a.m. www.mariettaga.gov/concerts.